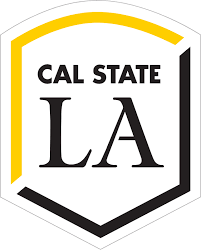 California State University Los Angeles (CSULA) is home to one of the nation's most exploratory, arts-based animation programs at a public liberal arts university. For those seeking a rigorous animation education, CSULA’s Art B.A.- Animation option has them covered. Uniquely, no portfolio is required for admissions; however, students are quickly expected to acquire and exhibit their foundational footing while integrating a wide array of animation styles and experimental techniques. Among the faculty leading the way at CSULA is Professor Jim Ovelmen. His own mixed media and animation work has been exhibited internationally for years, and he is known for pushing the boundaries and tackling social issues with the use of varying 2D and 3D methods. Ovelmen is the epitome of an artist’s artist, and as we learn in the following Q&A he is eager to help new generations of animators master the basics while solving the problems of an ever complex world. We hope you enjoy! ACR: Jim, before we dive into CSULA’s animation program, I want to start with you. Your professional passion extends into diverse artistic mediums. What was the educational path you pursued and how did it eventually lead to animation? Jim Ovelmen: I studied painting as an undergrad at Illinois State University. There, I took a class in “Avant Garde Cinema” and was blown away by the films presented. They melded everything I loved about art making, experimentation, absurdity, and dream logic. At 19 years old, I wanted to make animation as film and free expression within a composition -treated musically and semi-narratively. I did not want to cease painting; instead, I wanted it to be a part of the animation experience. I was not on board with the Disney definition of animation. I realized how animation can be lifted out of the realm of fetish technology, and into a interdisciplinary dream of moving images. ACR: Following your undergrad years, you attended CalArts- arguably the most prestigious of animation MFAs. Tell us a little about that period in your creative life. JO: I studied in CalArts’ dual program of Experimental Animation and Studio Art. It allowed me to combine MFA programs. I studied with the late Jules Engle, Maureen Selwood, Christine Panushka, as well as James Benning in the film school and Charles Gaines in the art school… quite a spread! I produced two separate thesis: one for the Art School, and one for the Film school. I created a quasi-scientific installation that sought to find the exact classification of Tweety Bird that would fit into the Catalog of North American Birds. It involved sculpture, collage, and video projected animation. Animation became a mainstay tool in my box. Later, for other shows, I used 3D computer animation to collide digital objects in virtual space. I began doing animations of inter-penetrating CGI objects- the results were very abstract yet painterly looking. ACR: How did you land your first jobs in the animation industry? JO: After finishing my MFA at CalArts, I worked in the industry to pay back my enormous student debt. I got my first job with the computer animation skills I accrued doing my experimental work in school, and I worked on several animated feature films for Paramount, Klasky Csupo, and others. I got sucked into mainstream narrative CGI animation in my job and I very much felt that I was just a passenger on this ship. That’s when I had my biggest epiphany, which was really an anti-epiphany: creativity is creativity... it’s all the same at the start, but it’s how you use it that matters. You need to master the message. ACR: Was there a particular project that generated the most self-reflection on your part, in terms of what your motivations were as an animator or what kinds of animation you wanted to be doing? JO: I was working on scenes for ‘Rugrats in Paris’ where I animated a 3-story tall CGI Reptar stomp through the Champs Élysée. The feeling of working on it was abstracted from the final product. It was a kinetic, isolated journey all in itself. I knew then I didn’t wish to move up the Hollywood ladder, but I also knew that there were wonderful things I was learning. Similarly, when I worked on the ‘South Park Movie’ and ‘The Wild Thornberrys Movie’, I had a bit of an anti-epiphany there. I knew I was good at my job, and that my work was appreciated, but I really didn’t feel like I belonged there. Yet, I knew I was learning crucially important things like the use of 2D and 3D experimentation. I was hired to create 3D computer animation that paradoxically looked flat and cartoony. There is a “21/2-D” approach that was emerging as a sensibility already in my work. That was the biggest epiphany. Mainstream commercial film, or subcultural independant production... the technique is not owned by anyone. Just master the message you want to send. ACR: How did you professionally return to the experimental end of the spectrum, Jim? JO: After I paid back my student loans, I began making short 21/2-D kinds of animations using hand drawn paintings and semi-narratives, fusing all together in 3D software, and then installing into large real-world installations. A work I made called “Queens of Sorrow” best reflects this transpositional stage. I first created this work in 2006 but I would revamp, and change it continually, like one would a painting in the studio. Just about this time I began teaching at CSULA. ACR: That’s when you began teaching at CSULA. What was it about its animation program that attracted you to it? JO: CSULA animation encourages experimentation, mixing media, and forwarding progressive and social messages in addition to conventional animation approaches. Students can use a huge variety of media to express that here. We set a high bar with end-to-end production, research, and innovation. We show them everything. And we expect them to produce a complete animated work. It is an intense program that messes with your head in every way, and challenges you. Students might mix puppet-making, fashion, paper-design, and ink-stain drawings with digital compositing and story-telling or abstraction to create the most unique animation produced anywhere. A student could delve deeply into rigging a CG character that may wind up in an experimental animation instead of a traditional narrative. Or a student might create a very traditional animation out of simple, crude stop-motion objects. There are students that love this, and are attracted to our program because of this web of learning. There are others who don’t like this educational approach for various reasons. I often advise students to transfer to a ‘trade-school’ if they want a step-by-step education that could be otherwise entirely renditioned in a tutorial video. I also want to reach those students who may want to reconsider their strategies. Artistic flexibility, creative problem solving, adaptability, imaginative prognostication, and visualization skill is what we are particularly encouraging, and doing in our program. ACR: What are some of the courses CSULA students take that introduce them to the experimental side of the craft? JO: I created a few courses including “Experimental Animation” and “Art & Motion” in which students use a wide mixture of stop-motion, mixed media, and digital media. The new curriculum shifted focus toward practicing experimentation and coming up with their own ideas. The students had never heard or seen anything like this before. JO: To my knowledge, CSULA is the only animation program of all the 23 California State University campuses that has a state-of-the-art, dedicated stop-motion lab. In our facility, students can perform motion control animated shots that look as smooth as any CGI camera shot. We have ARCmoco dolly and Triad Head that we are running through Dragonframe. We also have a DitoGear dolly connected through a Dragonframe breakout box. Students can have animated content, moving across a set, and computer all of it with repeatable camera moves in 5 axes. No other CSU has stopmotion capabilities like this, and most private schools I know of don’t have moco dollies like this. It’s another facility edge that makes CSULA unique. ACR: Speaking of stop-motion, despite impressive CGI ‘mock motion’, what makes the real thing so enduring even among the younger generations? JO: In stop-motion, there is no hiding behind tools. All animation, no matter what form, can be equally torturous and tedious, but I think younger generations of animators think that if they are going to spend countless hours on an animation then they want people to see the labor that went into it. I think that is why stop-motion remains fashionable. It’s not that CGI looks “too slick”, it’s that CGI can be the medium that seems less authentic. This is completely unfair. I staked my early career in CGI and so much of this work can be grossly underappreciated for its hidden labors. Great work is great work, no matter what the medium. But I think the reason culture and students are moving toward more analog animation has to do with a sense of detail and tangibility that actual materials bring. JO: For one, our students attend an animation program in the art department that supports the independent vision of the developing animator. In our B.A. degree, students explore various artistic modes in producing animation that has a personal, narrative, abstract, or social message. Of course, many other animation programs do this, too, but CSULA is a public school with a public school tuition. We have many first generation college students who study curriculums and in facilities that compare to top private schools like CalArts and USC. Because so many of our students are from low-income families and are the first to attend college, I would argue that a student who enters animation at CSULA changes more radically and covers more distance in a shorter time than at any other public, private animation program. I don't mean purely technically, either; they change as artists, as animators, and thinkers. And these changes are on their own terms, not ours. ACR: What are the merits of this art-focused pedagogical approach to the craft? JO: Things have come into accord recently with the importance of a thorough arts-education, and what is necessary for entering and maintaining a lucrative career. The concept of arts-education need not be divorced from the concept of “training” but it often is -especially in the hard-to-let-go-of mythologies held by students themselves. Arts education has returned as a fundamental way of developing interconnecting skills. Instead of industrial cattle-calls for the possession of micro-metier, employers want to know that you can learn new things, connect to others, and grow fast. Also creative industry workers change jobs more rapidly than ever. So adaption skills are paramount. What happens when the industry moves so fast that by the time you master a specific technical craft or skillset, things have already shifted? A good arts education includes students both using, as well as questioning, the medium they are mastering. Not in a cynical way, but in a forward thinking way that may later require shifting the bullseye. ACR: Students complete a capstone project before graduation. Why is it a crucial piece of the puzzle? JO: Students make Capstone films showing off their best abilities with the medium of animation before they can graduate, as well as demo reels. We try to clarify the difference between the two measures of education. One is for life-long learning and entering festivals. And the other is merely a highly-edited, skill-highlighted calling card for the ever changing industry, in order to land work now. What we hear employers say over and over is that it most matters what you do after you get hired that determines your career. Employers emphasize the need for good artists that learn quickly and are flexible and creative problem solvers. Interestingly, that sounds closer to general arts-education, than it does lashing yourself to any technique de jure. We have had students accepted into the Pixar internship program last summer, as well as graduates that work at Pixar. So if you consider this approach of internal value, the success of the approach is also being validated out there in industry. ACR: Are there soft skills you try to impart on your students so that they can make their way in a very competitive and ever-changing field like animation? JO: People skills. When you work for someone else, you need to know how to mesh. Follow the house rules; do what they are asking. You are not in charge. It is their production, not yours. Just use all your problem solving and creative skills to fulfill the vision of the director or lead in charge. I think that is worth more than a million technical tutorials mastering one specific thing. When the time comes that you have you own production, you will have already learned what not to do and that more experienced people actually might have some wisdom! ACR: What resonates with you right now in terms of pop culture digital media? JO: Mixed media animation projections that work on a more subtle and sneaky level resonate with me. There was a project done by Hong Kong animator Max Hattler where he projected simple animations over sprayed water. It was just line-art-like cubes and geometric shapes intersecting, but using hollow illusionistic space like a dimensional moving Kandinsky. You could start to hallucinate new layers of inside and outside as you watched it. ACR: How about your students- what gets them excited in the space of animation? JO: Seeing what they already like being represented, for one. The biggest form of advertising is peer chatter. Walking in the door, my students are usually excited about anime, manga, Marvel comics, illustration, and their favorite TV or webcast or broadcast shows. But if a friend or peer is excited, then that is big news! Generations of students learn and grow more organically. After 3-4 years in the program, they appreciate a wider variety of things. The things they are impressed with radically change as they mature artistically. By the end of course work, students tell me about the amazing projects going on in the world; about lesser known and small and daring projects done in animation. And the excitement is all their own. I learn from them. ACR: Jim, what are your thoughts on virtual reality and some ways in which it might be used that pique your interest as an artist? JO: There is so much potential of merging all kinds of practices together with VR. My mind goes crazy about possibilities of things that have never been done before! What and how it will be used is a wild frontier. Mixing drones, 3D printing, reality, and virtual reality perhaps? Imagine that you could program a drone to fly to a dangerous place, like the inside of a volcano. That drone then could start 3D printing an artwork on the inside of that volcano. Then the only way to experience the artwork is to use VR/AR to enter it, with added special effects. The experience is of a real thing, but also in a way virtual. What about how existing medias will bend under these new technologies, and alter our consciousness. It’s fascinating to see how cultures have relegated VR in and out of relevance over the years. The entertainment world and gaming have used it, but commercial industries are now racing toward that big redux watershed. The art world had utterly ignored VR, but now we finally see younger artists bringing it into new visualizations in galleries. ACR: On the subject of galleries, you run a space for artists in LA called AWOL Gallery. It’s in a working class Los Angeles neighborhood and you’ve forged close ties with your community. Can you tell us a little about it and how your neighbors play a role? JO: The amount of people needing affordable housing has hit a state of urgency. Exactly how one uses space, and who uses space in a crowded city in particular, has become ever more political. The impact of artists on neighborhoods can be both good and bad. A big factor is gentrification. AWOL sits in the working class neighborhood of El Sereno- close to CSULA. Artists moving into lower income areas to take up new studios and create art spaces can have an impact on longtime residents- the worst of which drives up rent where loss of housing is already devastating. I invite street artists that live in the area to participate in our shows. This does not dilute the message of the work, but instead it activates and challenges what kinds of shows one can have in a neighborhood arts-space. If artists focus on production rather than consumption and include local and longtime community interest, then they can find ways to become part of the landscape instead of trying to “revitalize” it. ACR: Last year, you recreated Ernest Shackleton’s doomed Antarctic ship on the AWOL rooftop and carefully designed an interior space that offered reminders of the turn-of-the-century era. What inspired you about Shackleton’s exploration to explore it artistically? JO: The Shackleton project was one that I started with a friend and artist Mark Jones at London Street Projects years ago. In the 2015 version, I collaborated with another artist/architect Mehran Ayati. The concept was similar but I brought in new layers of politics about gentrification into the concept of the work. The South Pole story defines the silver age of British Exploration. Sir Ernest Shackleton and his crew surviving on an ice-flow for almost two years, delivering his crew to safety despite presumed doom. Shackleton has been used as the archetype for survival in the face of death, while being lauded as the most spectacular failure of all time. I recreated his stranded ship, the Endurance, of paper and wood and fashioned it along with Styrofoam ice in a virtual shipwreck on the roof of the gallery. Meanwhile, below in the gallery you could view the rooftop scene through a video periscope which pierced the roof and sent a projection onto a screen. What inspired me to bring this show again to AWOL and to El Sereno in 2015 was precisely the intrigue about “colonization” and community I spoke of before. These issues are ever more controversial topics in East Los Angeles, especially the communities of Boyle Height and Lincoln Heights. Shackleton could be seen at once as a figure of heroism or an unwitting symbol of impact upon the existing environment. An analogy for someone who thinks they are “discovering” something, when in fact, there was vibrant culture already there that is being impacted. Everything is a careful ecosystem that may be disturbed by new visitors. And if the stay is permanent, the visitors can be seen as invaders. ACR: I imagine at least some of your CSULA students attend your exhibits at AWOL. What is their reaction to your artistic explorations? JO: I think the most critical thing students or local people may ask about AWOL is its mode of operation and existence more than any internal questioning of the artwork as a piece of art or animation therein. The most common critical question I have received is, “why are you doing this?” That is not dissimilar to the question asked by my own peers and friends. The question begets a creative dialog and then they get into the work. For students, it’s a wonderful extension of an education tool as well as a learning tool about the area. Moreover, on different occasions we have shown graduate students from CSULA at AWOL and hosted video screenings from CSULA students. ACR: Thinking of artists and communities, how do they balance their own economic needs for survival with the needs of their ‘patrons’? And do you think the Internet, social media, and crowd-sourcing have changed the equation? JO: I think this is an age-old challenge, and one that does not change too much even with the advent of the internet and crowdsourcing. It’s identifying limited resources, where you fit into the general supply and demand of the world, and either ignoring that and taking the risk of paying the price or find a nice pace you can fit and capitalize on. There’s more assurances and encouragements for the latter, but the former is more exciting to most artists. The important thing for the artist or animator is problem solving and managing stress. Making money is a form of both. Finding a way to get paid can be just as creative as the resources and research that went into the work itself. To all artists, what they really want is attention and love for their work. Some of the most successful artists I know on the global stage spend more money than they make, and are on the edge of bankruptcy. It’s a personal psychology that probably goes back to feelings of propriety and guilt. I work in all kinds of mediums and materials, including painting, sculpture, video and animation. My aim has been to break even. I would be paid in grants or artist fees, and spend as much of the budget on making the project great. In 2013 and 2014 I spent many months in Asia, Japan, Taiwan, doing large projected animation projects on the exteriors of buildings. In each case there was a political, social, or environmental reasons that drove the work (see Coronator, Primordial Typhoon, Lux Aeterna Assessment, Slow Smile). ACR: As both an artist and an educator, what are your greatest hopes for your students and what advice do you give them with regard to evolving as artists over the course of their lives? JO: I have only the hope that they feel entitled to any career they want, and are willing to work for it. Artistically, I hope they can create wildly and haphazardly, but edit their creations viciously. Life is not fair. Show up and try to create your own luck. Failure is good for you. Look at disappointment and stress as part of the whole creative game, not prophets of doom. The only thing you are going to remember years from now is the joy you had when you were making the work. Put all your energy into finishing what you started, as that is also where you should put the joy.